If you haven’t read my post about my passion for all things “Little House,” you may want to deviate and read this first. If you’ve already done so, then you are up to speed and will readily understand why I’ve selected the following books today in honor of Picture Book Month. “Christmas is coming to the little house on the prairie, but Laura and Mary Ingalls are worried. It has been raining for days now, and Santa and his reindeer cannot travel without snow. Will Santa visit their log cabin this year? 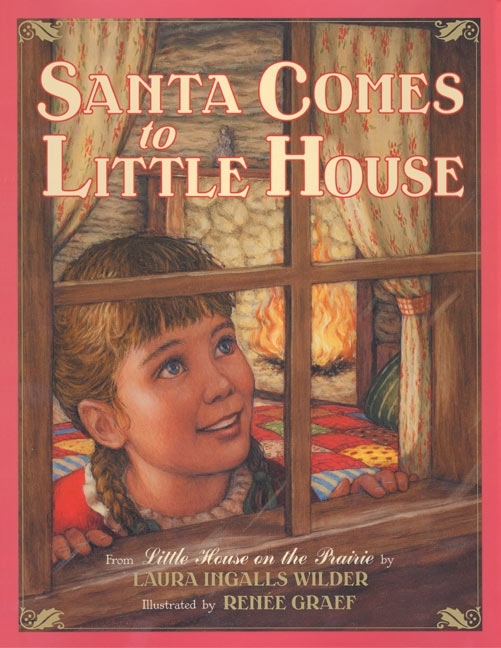 Laura Ingalls Wilder’s heartwarming story, taken unabridged from the beloved little house on the prairie, combined with Renée Graef’s vibrant, rich illustrations, makes santa comes to little house a holiday classic for families to share year after year” (http://www.harpercollinschildren.com). “The Robertson family celebrates Christmas by making gifts, cooking, playing games, caroling, decorating, and then awaiting the arrival of relatives” (Amazon.com). “Eleven-year-old Emma is disappointed when her mother is called to deliver a baby on Christmas Day. Emma must accompany her, so they travel across the prairie to the Van Der Meer cabin where Mama gets to work and Emma bides her time. As the night wears on, Emma soothes the two young Van Der Meer children, cooks a special Christmas porridge for their breakfast, helps them decorate their tree, and entertains the neighbors who bring food and gifts to the family. At last the new baby arrives, and Emma agrees with her mother that it has been a memorable Christmas” (Booklist). 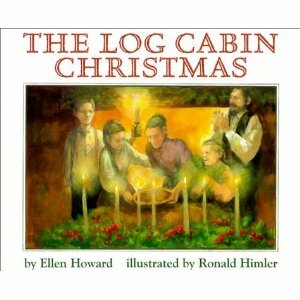 “The family from The Log Cabin Quilt faces a grim Christmas in their cabin in the Michigan woods. With mother gone, there will be no candy or toys, not even fruitcake for Christmas dinner. Sadly Elvirey remembers how Mam had always made Christmas special. As she determines to do the same despite the cold, snow, and quarreling family, the other members finally join her to bring the holiday spirit to the wilderness” (Barnes & Noble.com). 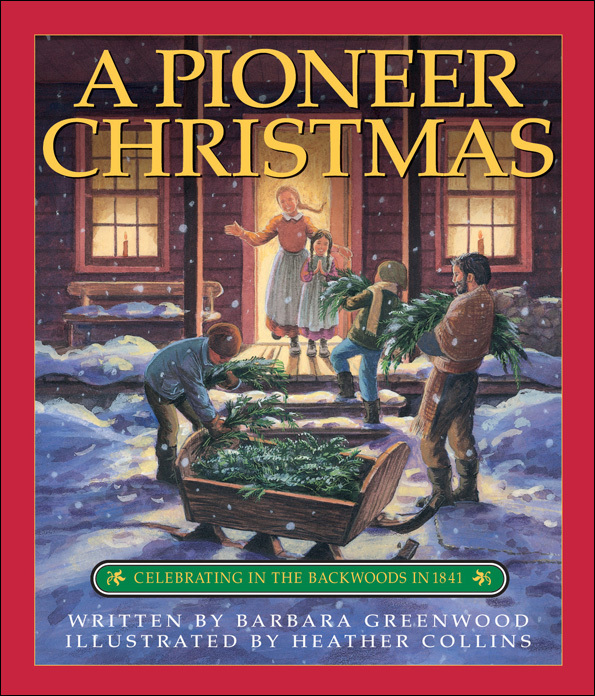 Due to its content, The Log Cabin Christmas may not be right for young children, but adults will likely find the heartwarming story a reminder to keep sacred every little moment with our children. 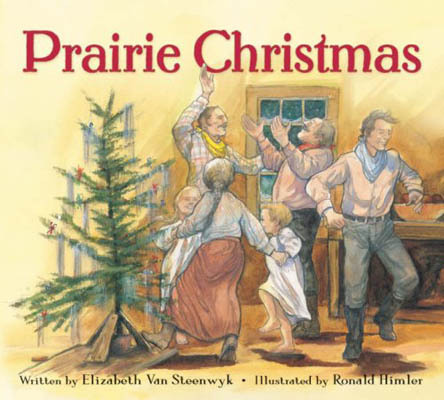 Can you recommend any other holiday tales from the big woods, the prairie, or the farm to round out my list? Oh my, I wish I could give some more recommendations, but am outside my league here. However, you have inspired me to pull out Little House on the Prairie and read this segment. The last few Christmasses I have spent with friends in New Brunswick, Canada. This year we have two other friends joining us from London and we have hired a log cabin for a few nights. I can’t wait! You are going to live my dream. 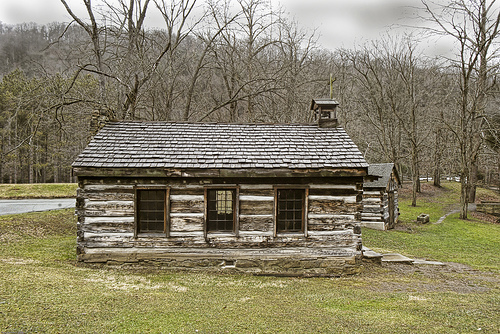 I would love to see pictures of your log cabin after your trip. That sounds utterly divine! Oh, if you just knew how we enjoy the stories of Laura Ingalls as well…If you haven’t seen them: http://www.wordplayhouse.com/2011/10/little-house-on-the-prairie-1.html and http://www.wordplayhouse.com/2011/10/little-house-on-the-prairie.html — So, as you can imagine, I find this post absolutely delightful. You’ve shared Laura’s truly wonderful stories in a beautiful way here. We happen to be reading Little House in the Big Woods aloud at bedtime right now and just finished the Christmas chapter. It was wonderfully unplanned timing.